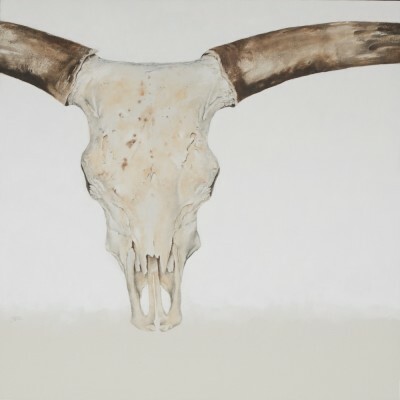 Altamira Fine Art is pleased to present a new solo exhibition for Jackson Hole artist September Vhay. Meet the artist, enjoy fabulous art and refreshments at the Reception on Thursday, June 22 from 5:30-7:30pm. September's enchanting wildlife paintings and drawings will feature new subjects as well as popular favorites. Fourteen new works will be on display. Vhay's work is classic in subject matter and technique, and at the same time modern in her composition and minimal approach. Her paintings are realistic in form and detail, yet they possess an impressionistic aura as well, a looseness that adds a sensitive dimension. She deftly exposes the interplay of light and dark, hard edges and soft, and dynamic areas against quiet, open space. Backgrounds drop away so that her muted earthen palette can evoke the very essence of an animal. 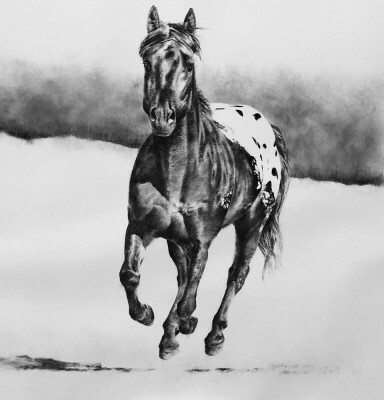 Vhay's recent exhibitions include the 2013 Coors Western Art Exhibit and Sale and the 2013 "Cowgirl Up" at Desert Caballeros Museum. 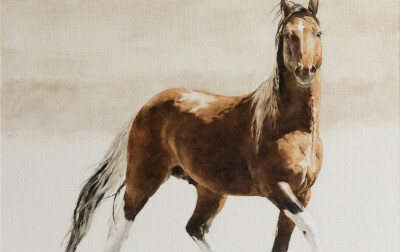 Among other awards, September won first place in painting at the 2012 Ex Arte Equinus International Competition, and the Trustee's Purchase Award at the 2010 Western Visions Show & Sale at the National Museum of Wildlife Art. Her work has been featured in national publications including: Southwest Art Magazine, Western Art Collector, Mountain Living, Homestead, Luxe Magazine, Western Art & Architecture and Images West. In the fall of 2017, September will be a participating artist in the Western Visions Wildlife Show & Sale at the Wildlife Museum in Jackson, WY as well as the Buffalo Bill Art Show & Sale in Cody, Wyoming.